BEST EVER: 9 Outstanding Destinations Not To Miss - Ambassadors of World Food Tourism. Planning your next adventure can sometimes be a bit overwhelming. There are just so many places to visit in the world that make the must-visit lists no matter where you look. If you’re like us you might like a mix of places that are small, medium and large-sized markets. Whatever size city you like to visit we’ve got you covered on our annual list of outstanding destinations we would like to recommend for you to visit. 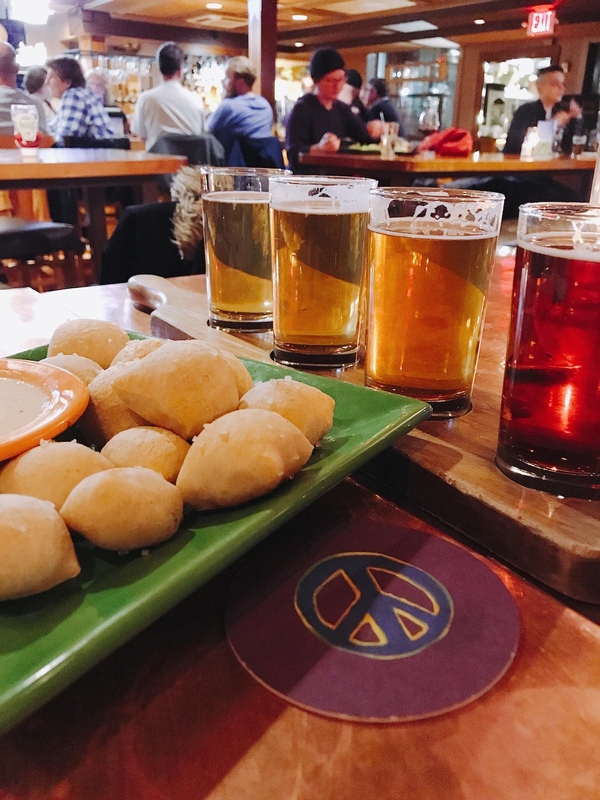 While our list is far from comprehensive, we think you’ll find it fun, unexpected and most importantly full of tasty adventures. It’s no secret that we’re in love with Montana. In fact, Yellowstone Country is a repeat Best Ever Food Travel Destination from 2017. Returning to Montana in winter turned out to be one of our favorite trips of the year. 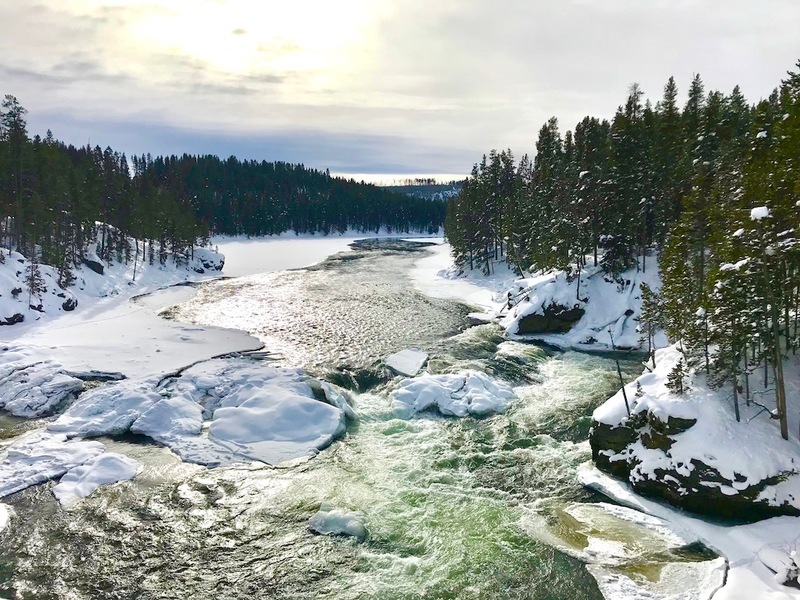 The beauty of Yellowstone country is truly something you can enjoy any time of year. If you prefer to avoid the crowds visiting during the winter will be right up your alley. 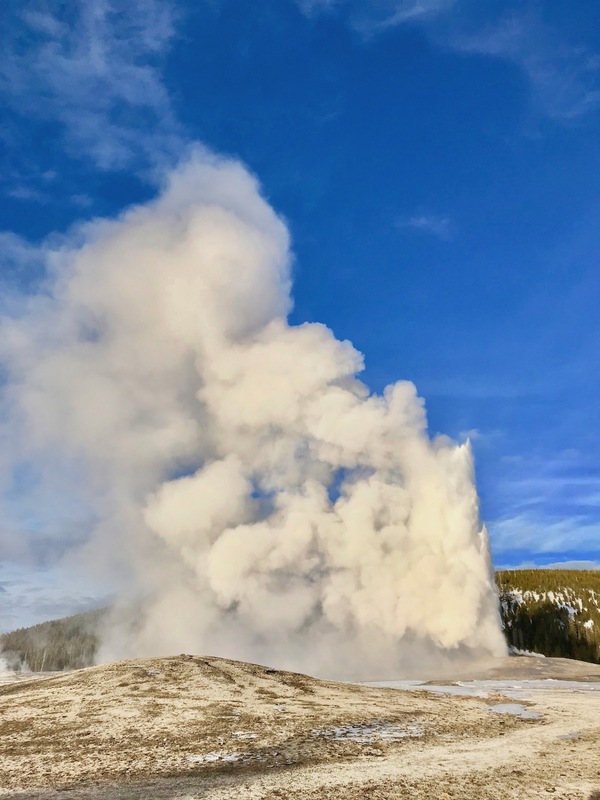 Watching Old Faithful erupt with just a handful of other people and a coyote made it a story we tell over and over again. 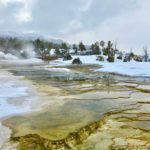 While not all the typical tourist attractions are operating during the winter, plenty are open and there are other fun things to do this time of year available in no other. Skiing, snowshoeing and snowmobiling are up and running and get you out in the quiet of nature. Spa retreats can help you rest, relax and rejuvenate while indoors. Don’t worry about food. There are plenty of restaurants, pubs and cafes open and ready to serve you delicious meals you won’t soon forget. We love exploring the Midwest. In fact, we spent a large part of the last year and this year traveling the U.S., including the Midwest, visiting, researching and discovering where we would eventually relocate from Chicago in 2018. But that’s another story! One of the places we visited not once but twice was Ann Arbor. We just love the diverse culture of this energetic college town. For a town its size, it has a food scene that rivals much larger Detroit and even Chicago. The rich fertile soil of Michigan draws many chefs, farmers and lovers of the land to this tasty place. 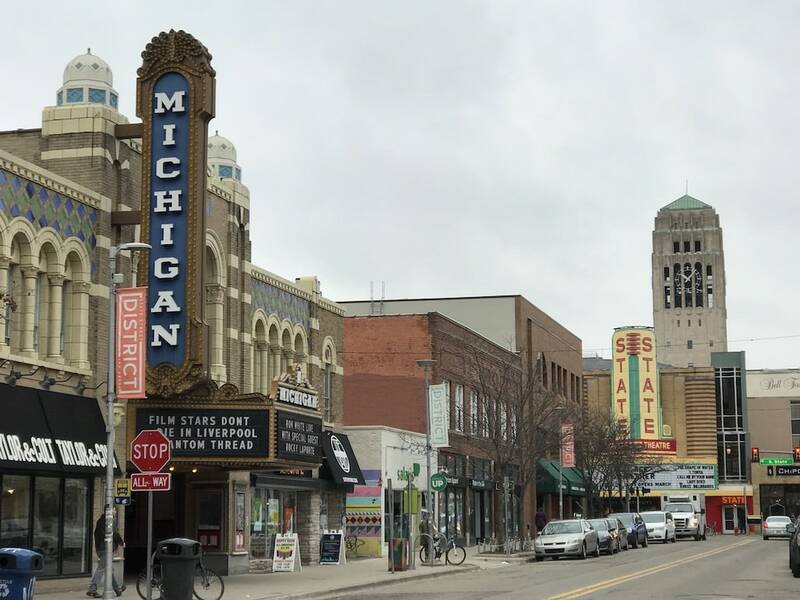 To add to the attraction, not only can you find just about every type of food you can imagine (done extremely well by the talented chefs that call Ann Arbor home) but you will also find world-class museums, boutique shopping on the street Bob Seger brought to pop music lovers’ attention, Main Street. And, of course, tailgating at Michigan’s “Big House” lasts all day long. Ann Arbor is an outstanding destination for Midwest road trips. It’s also just a short flight from NYC, Dallas and Boston making it perfect for a girls’ weekend, couples retreat or quick family getaway. 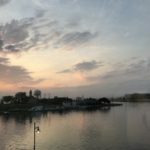 And if you want to get an even smaller town feel, nearby Ypsilanti, Dexter and Chelsea offer more restaurant, breweries, theater and shopping choices just a short drive away. 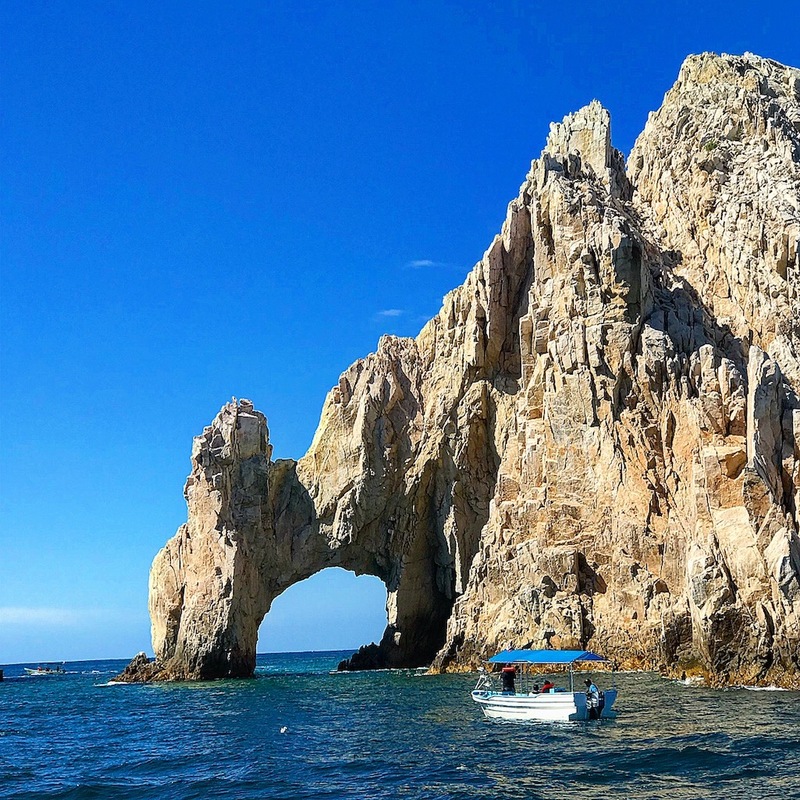 When you’re looking for a place to enjoy the sun and fun look to Los Cabos, Mexico. An easy and affordable flight from the U.S. makes this outstanding destination easy. In a matter of a few hours, you can be lying on a beautiful beach with a cocktail in your hand feeling the stress drain away. Fresh seafood, vegetables and fruits abound wherever you go in Los Cabos. From delicious roadside tacos made by someone’s Grandma to fine five-star dining at the Manta Restaurant at The Cape Hotel, amazing meals await you. Plenty of water activities like snorkeling, scuba, stand-up paddle boards and more give you plenty to keep you busy in between meals. But if you prefer to lounge on the beach and wait for your next spa treatment they’ve got you covered on that front too. 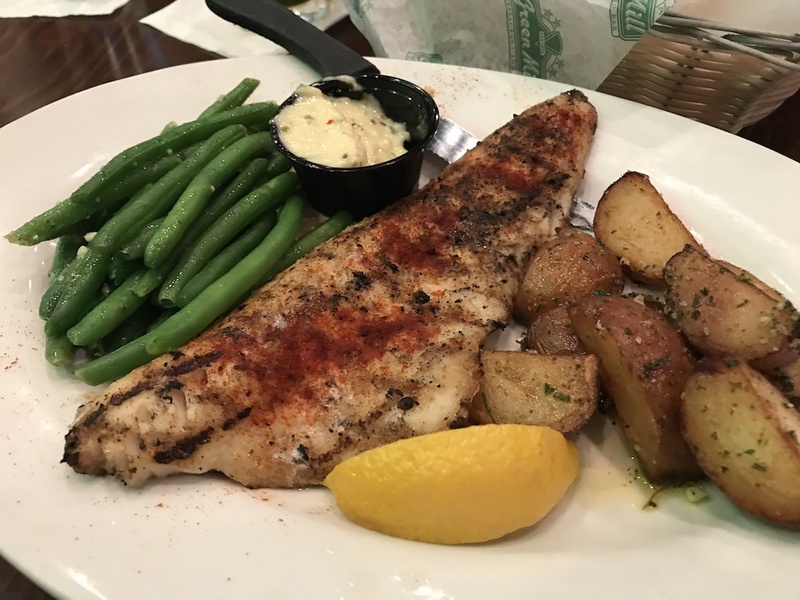 We first became acquainted with Hampshire County on #FoodTravelChat. The more they shared all the wonderful food and travel experiences the more we wanted to visit. 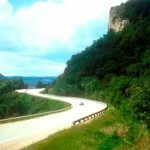 This is yet another outstanding destination in the U.S. that has an abundance of fertile land and a strong agricultural community. It’s a perfect place to drive and explore. 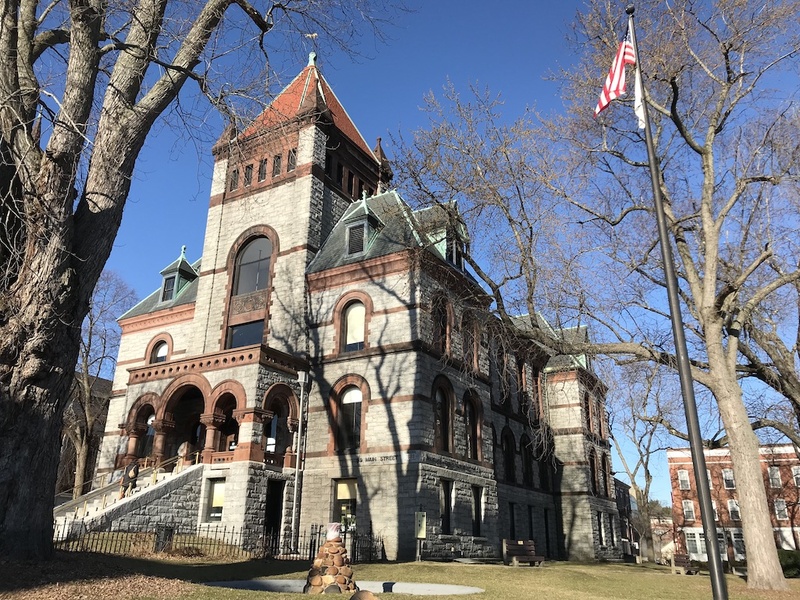 Whether you stop in Northampton, Amherst, Hatfield, Easthampton or North Hadley you will find people happy to talk to you and tell you what your next stop should be. The area is loaded with many food choices and beautiful countryside you can’t wait to explore. Be sure to check out local dairies, farmers markets, breweries and wineries to get a full taste of this bountiful region. You might be saying, where? Roseville has the good fortune of being located smack between Minneapolis and St. Paul, Minnesota. That makes it an ideal place to set as your home base when visiting the area. This small Midwestern town is not small on flavor and food, and it deserves its own time for exploring. Go ahead and explore the Twin Cities to your heart’s content. But the local food scene in Roseville makes it an outstanding destination to explore as well before you end your stay. 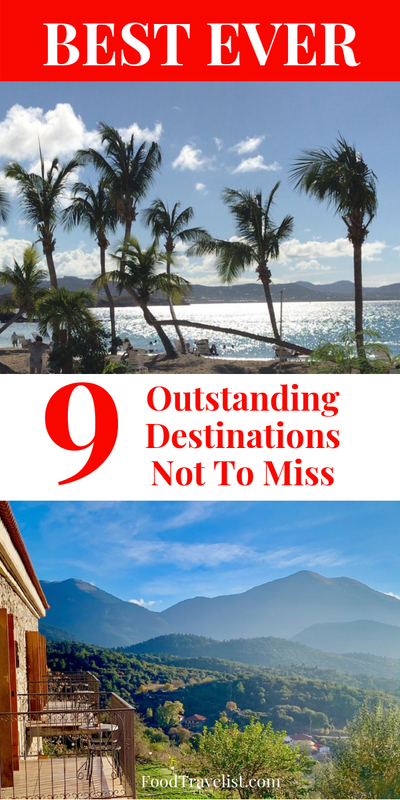 Trying to choose our outstanding destinations is kind of like picking your favorite niece. It’s impossible. They all have their own unique and special traits. 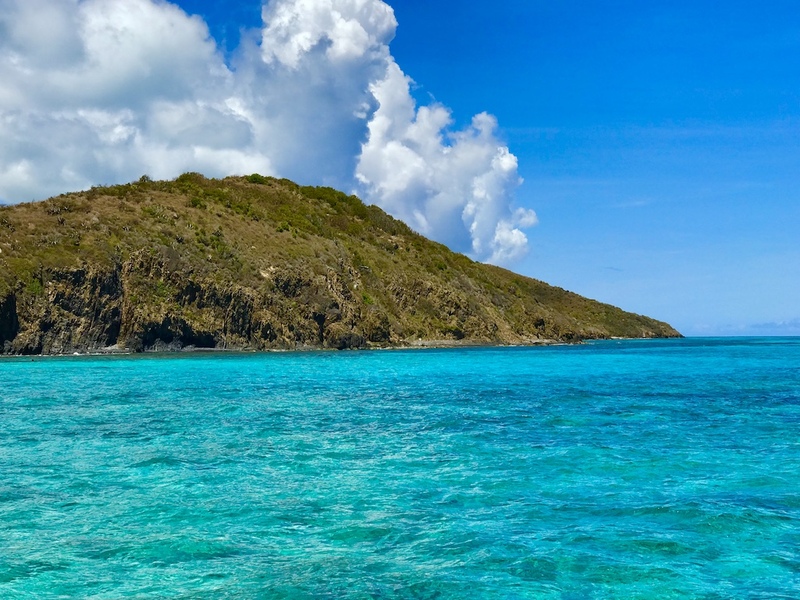 St. Croix, however, sticks out as a particular favorite for us. When you arrive at a destination and just a few hours later you feel like you’ve found a place you could call home, that’s a special place. Saying you are welcome in St. Croix is an understatement. The Crucians take you in and immediately make you part of their family. Calling you “cousin,” “auntie,” and “uncle” is not just a term of endearment. It’s a way of expressing how you truly become part of their extended family. Food? 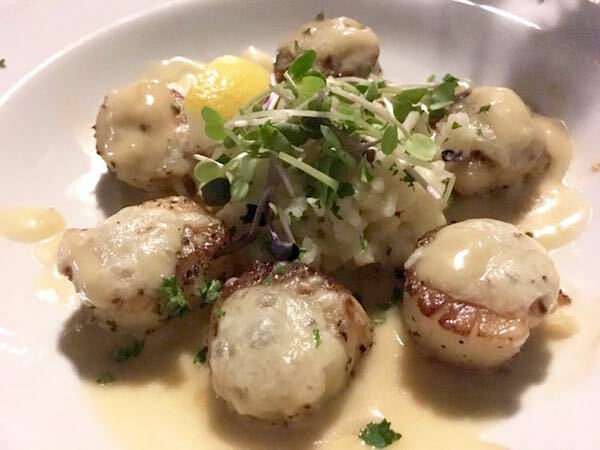 Whether you hit a late-night gas station party or visit fine dining spots for sumptuous fresh seafood, you’ll find plenty to keep your belly full and your palate tempted. While you’re there be sure to do some shopping at the many quaint little shops. Don’t forget to enjoy the beaches and crystal clear blue waters that beg you to come and relax. 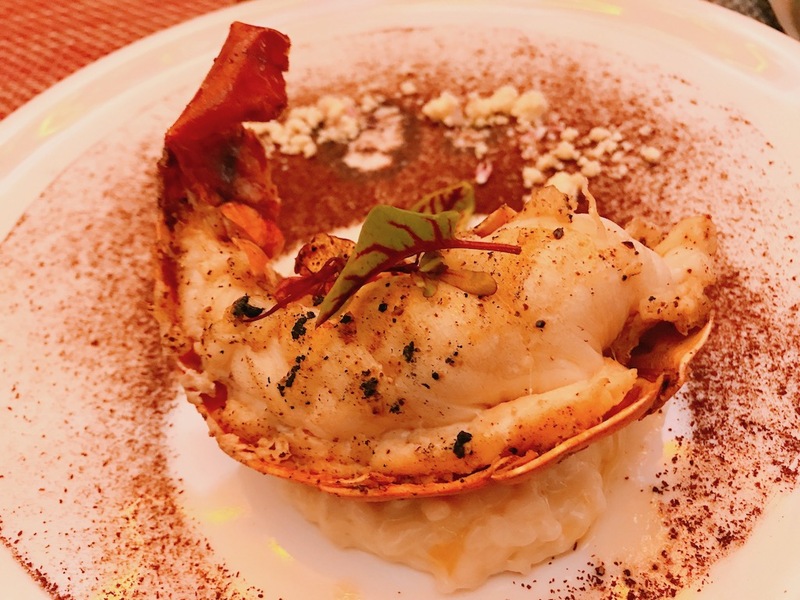 St. Croix is ready to greet you and putting on quite a culinary show. Don’t miss it! 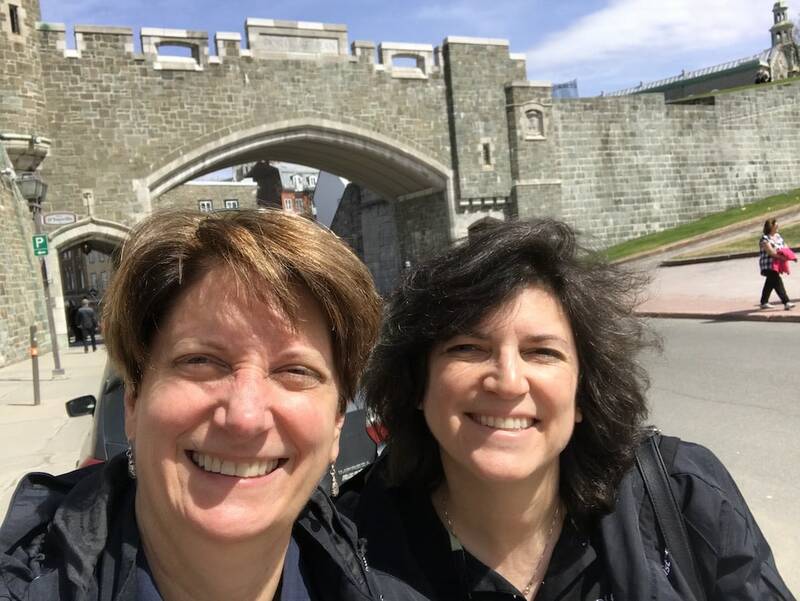 We were so excited to return to Quebec City in 2018 for the Women In Travel Summit. Once again we were grateful to be speakers at this women-focused industry event. 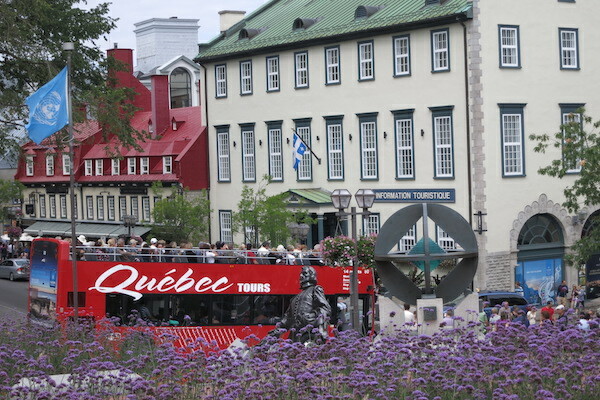 If you love visiting Europe, and more specifically France, you’ll love Quebec City. Just a short plane ride from the U.S. and you’ll feel like you landed in a small quaint French village. The lovely winding streets offer cute shops, cafes and bars urging you to come in and sample their wares. Quebec City is another outstanding destination that’s beautiful any time of year. Just remember to bring your walking shoes to stroll the streets and paths. 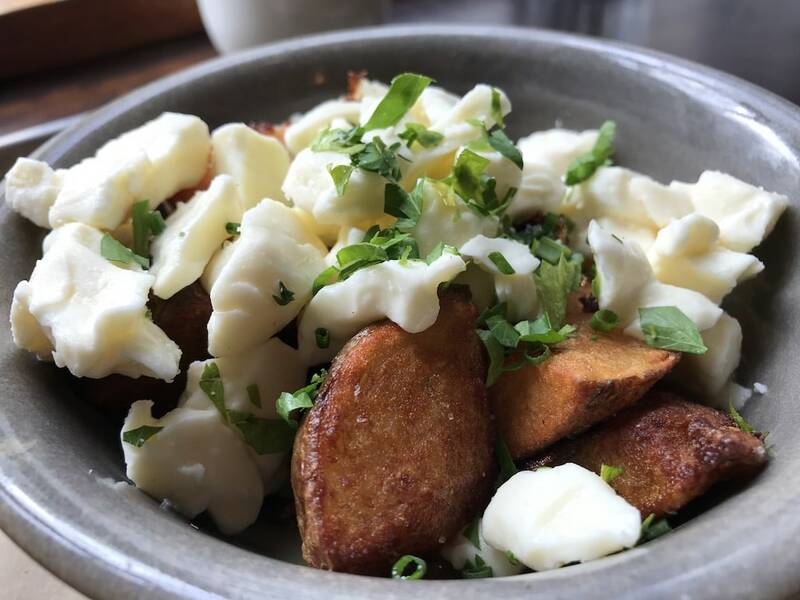 Be sure you don’t leave without tasting one of Canada’s best-known dishes, poutine. You’ll find it everywhere and everyone you meet will have their own favorite version so be sure to try more than one. We’re excited to attend the next Women in Travel Summit in 2019. 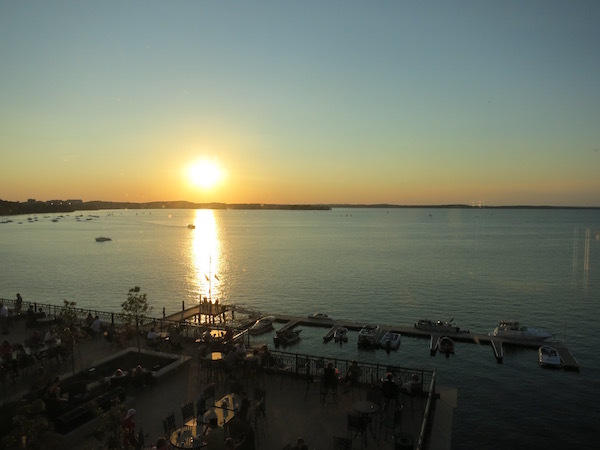 Be sure to join us at WITS19 in Portland, Maine. Greece has been on my must-visit list for years. 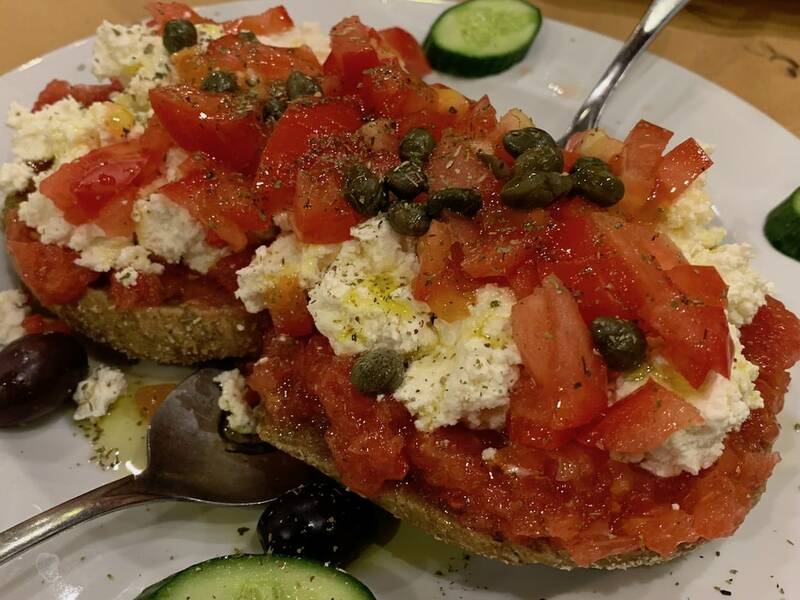 Given my wife is Greek-ish and we enjoy so much about the Greek culture, especially the food, it’s kind of surprising we didn’t get there sooner. Let’s just say that the trip did not disappoint. We were lucky to have Carol and Basil of Real Greece Travels help us out planning our trip. I don’t think we could have seen more or tasted more if we planned it ourselves! 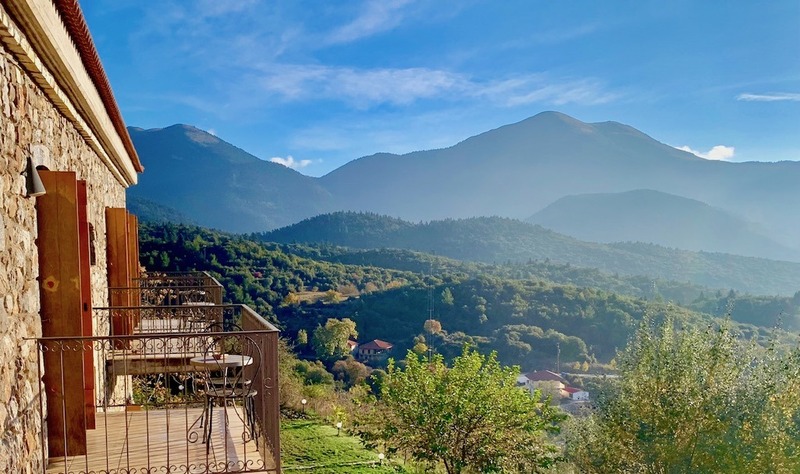 Of course, it was fun to visit with Diana’s cousins and friends, but what really made the trip special was visiting small villages in the Peloponnese and Pelion regions of Greece. Spending time in a place that has only 20 permanent residents really makes you think about the world in a different way. Experiencing dinners prepared by locals and hearing about their daily lives is not something we’ll soon forget. Our search for a “new” place to call home was a serious challenge for us. The number of hours traveling, researching and experiencing different outstanding destinations sometimes made the decision even more difficult. Leaving behind Chicago, a city I called home for more than 50 years, was not an easy thing to do. But that’s a whole different story and one we’ll share with you in greater detail very soon. But the top story is that in the fall of this year, we made our way with our two meowing kitties to our new hometown, Madison, Wisconsin. Why Madison? Where do we begin? The flourishing farm-to-table restaurant scene. The beautiful isthmus surrounded by shimmering lakes. The inclusive community that welcomes everyone no matter who they are, where they are from or where they are going. The hundreds of hiking and biking trails to explore. The abundant beauty of nature and the gently rolling hills. A quick two-hour drive back to family and friends. All the above and so much more. Not to mention the iconic and delicious Old Fashion cocktails. I don’t know if it’s the “official” state drink but it should be. No matter where you go in Wisconsin you’ll find them. 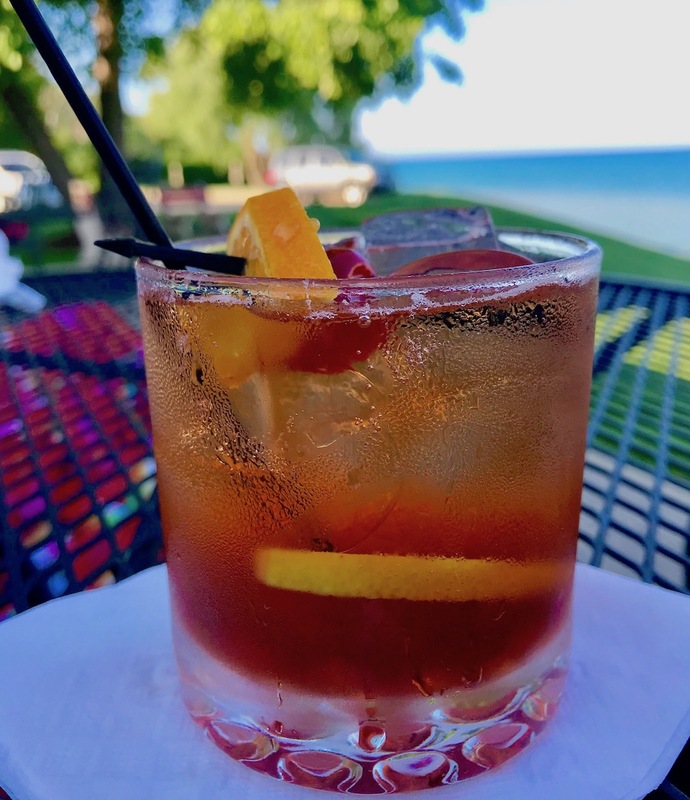 There are probably as many different recipes for Old Fashions as there are kinds of cheese in the Dairy State. If you visit Wisconsin don’t forget to also visit Milwaukee, Kenosha, Monroe, Middleton, Verona, Fitchburg, Waunakee, Sun Prairie and all the other nearby towns. Each one has its own unique personality and history to explore and discover. We know we plan on discovering every nook and cranny our new home Wisconsin has to offer. Supper clubs, pizza farms, dairies, breweries, bakeries – the food exploration is full of endless possibilities. 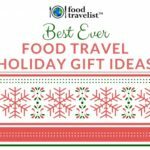 We hope you enjoyed our annual year-end recommendations of outstanding destinations for all food travelers to visit. We look forward to discovering even more tasty places around the world in 2019. Our plans are to get to New York City, Portland, Maine, Las Vegas, Boise, Idaho, Southwest Montana (we told you we love Montana), Italy, Portugal and more next year. If you have places you have explored or would like to get to for food travel let us know in the comments below. What a great list. I am especially adding Greece to my list. And a revisit to Quebec City. It’s been ~30 years, so I think I deserve a re-do! Been to a few of these places. Yellowstone is high on my must do list. 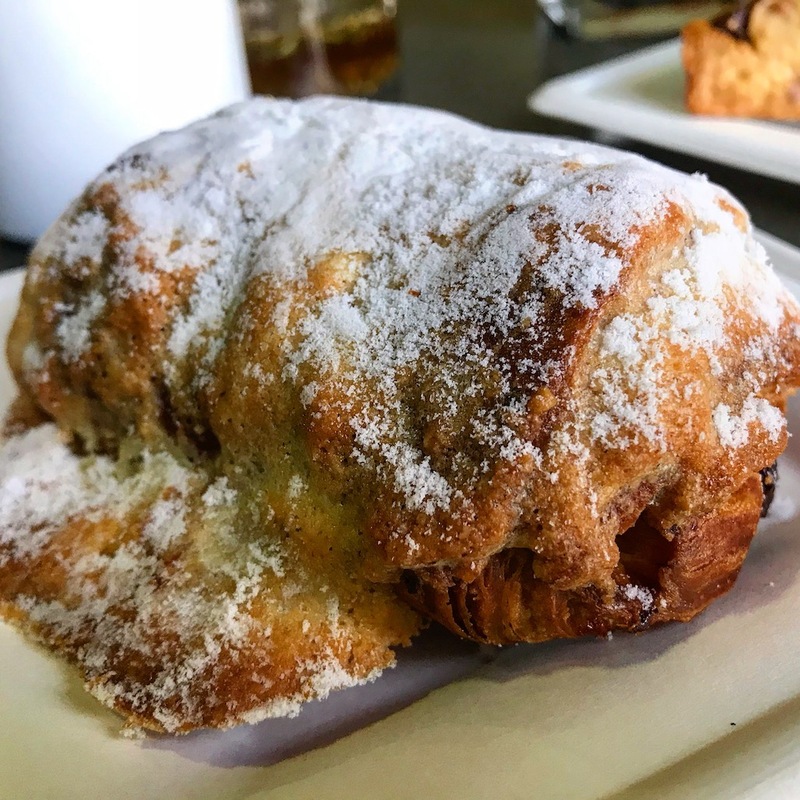 These places made me hungry, especially the lobster in Los Cabos and the Croissaint in Roseville. Lucky me-I can add almost all these destinations to my travel list. I have to say right about now, St. Croix would be at the top! The colour of that water in St. Croix makes me want to pack my bags and head there today! Winter has finally hit on the Prairies! Happy (or not!) Winter Solstice and Happy Holidays. Simply my two FAV things to do- travel and eating! I’ve saved the info for Greece. Can’t wait to get back there!!! I vote for Greece, but will have to check out Roseville since my daughter lives in downtown Minneapolis and I visit there every couple of months. Great food in Minneapolis too. I’ve only been to St. Croix, but I think I may have to add the others to my list. Thanks for the ideas! I like the variety of destinations on your list! These all sound like great places to explore. The only one on your list I have been to is the Virgin Islands, and it is so beautiful there. Wow, some really good places that aren’t the typical good food places you hear about, which is a great to see. Thanks for the intro. 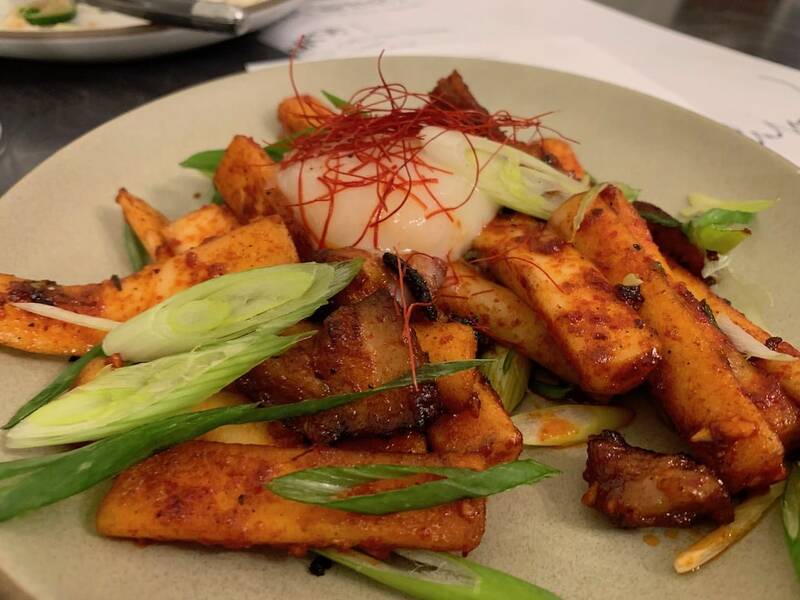 The dish from Miss Kim’s in Ann Arbor looks like some place I’d travel to just to eat that! Thanks for the foodie love! Hi Lori! Miss Kim’s is worth the trip alone. Hope you make it there someday soon. What an eclectic collection of outstanding destinations. We have hit a few, so we know how fantastic this list really is. Looks like we found some more to add to our travel list. Thanks! Glad we found a few more destinations to whet your appetite. I’ve been to most of these locations and love them all. But it’s funny. I’ve been to the Twin Cities many times and have never heard of Roseville! Will definitely have to check it out the next time I visit Minnesota! Happy to introduce you to Roseville, Doreen. It’s an especially great place to stay to make your trips to the Twin Cities nice and easy and tasty! Hi Jo! I just can’t say enough about how much we love Montana. If winter wasn’t so darn long there we most likely would have chosen that as our new home. Such a fun roundup and a great payoff at the end – finding your new home. It’s wonderful that food has really become a marker across North America and that we’re catching up with the Old World. We recently saw Yosemite at Thanksgiving. It was quite the trip for us. For right now I’m happy staying home and safe at Christmas. Next summer we are planning on going to Yellowstone for the first time. I love that I’ve been able to visit all these national parks these last few years. I know our family would love all of these places listed. I particularly love the idea of spending some time in Montana. Great destination choices you selected. I have been to Greece and Quebec. My number one place I want to visit is Montana, just so beautiful and scenic! We all love traveling, this is a great help for us to decide where to go next. 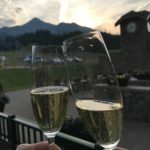 Amazing list of destination featured on this blog. Thank you for sharing this to us.